A history born on the open ocean. Ulysse Nardin gained fame for marine chronometers, found in the pockets and on the wrists of many of the world’s navy captains in the 19th century. The Marine Collection has since become the brand’s most emblematic. However, renewing the focus and direction of the collection, earlier this year UN added the streamlined Marine Torpilleur Chronometer. And with SIHH 2018 just around the corner, they’ve unveiled another inclusion to the Torpilleur family. One that is less the officer and the gentleman of its predecessor and more the rough-and-ready adventurer of the high seas. Forging forward with a more modern focus is an upsized 44mm stainless steel case. With a thinly pronounced fluted bezel, it follows the same curves and lines of the original Torpilleur. Only now it’s matted-out with a sandblast finish. A look that when combined with the oversized onion-shaped crown, really flexes the military vibin’ muscles of this new edition. Water resistance is also maintained at 50m, thanks to the screw-down crown and a solid caseback engraved with a seafaring Torpilleur boat. There will be two dial options offered by UN, both limited to 300 pieces each. An eggshell white with lume-filled hour markers, and a matte black with orange numerals and lume-coated hands. Also, instead of the traditional Roman numerals surrounding the dial, large Arabic numerals make up the hour markers. 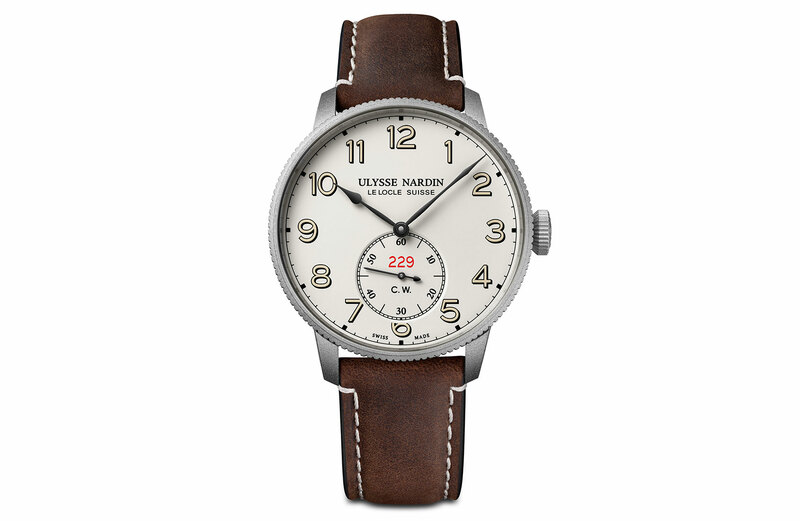 Bringing a more contemporary look to the clearly military-vintage inspired dial. 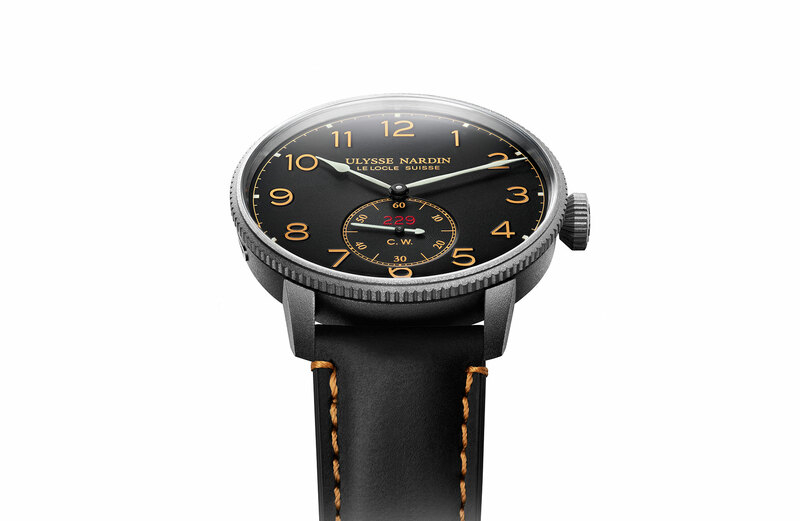 The limited-edition number is indicated by red numbers within a small seconds sub-dial at 6 o’clock. With the initials C.W. just underneath, reminding you that this is a ‘Chronometer Watch’. And this is indeed a Chronometer watch. Ticking away inside is the highly accurate automatic calibre UN-118, which not only earns COSC certification but also passes UN’s own strict requirements to earn their in-house certificate. Furthermore, with a silicon hairspring and an escapement crafted in UN’s patented DIAMonSIL – a diamond-coated silicon – the UN-118 has a power reserve of 60 hours. Despite being an entirely new look and bearing for UN, the Marine Torpilleur Military is perhaps the most straightforward homage to the famed ship chronometers of the brand’s beginnings. An over-engineered yet highly accurate movement and an easy-to-read classical marine-style dial.